First thing I want to state is this blog post is in no way shape or form sponsored, I haven't been asked to do it, I haven't been paid to do it, nothing whatsoever in this blog post has been asked of me. 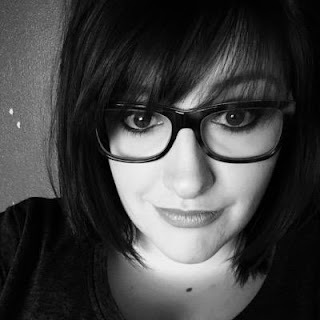 I actually messaged Sarah and asked if to would be okay to share her story on my blog for a couple of reasons: 1) This woman, just like so many women out there, deserves to have a "normal" life doesn't she? 2) I want to share a little about how the government does not help disabled people without wanting something in return and 3) I want to help raise awareness about being a spoonie. 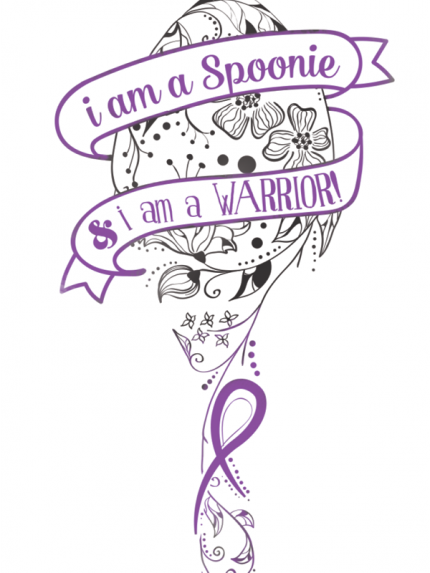 Spoonie is a name given to a person living with chronic illness, that identifies with Christine Miserandino's Spoon Theory. Spoonies are people that live with chronic illness; theoretically measuring personal daily abilities much as one would measure the proper amount of spoons needed for an event or occasion... sometimes having an abundance, other times coming up short. Imagine being a spoonie.. how would you decided on what to do each day? 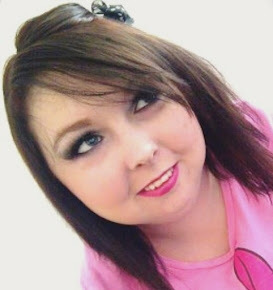 "I'm Sarah, I'm 28 and I suffer with Ehlers-Danlos Syndrome, Fibromyalgia, Postural Tachycardia Syndrome and Depression. What does that mean? EDS is a heritable connective tissue disorder that affects the collagen in my body. Collagen gives strength to the skin, bones, blood vessels, ligaments, tendons, cartilage and gut, but it's faulty. Therefore I have widespread chronic pain, chronic fatigue, easy bruising, skin fragility, bowel and bladder problems and my joints dislocate. Fibromyalgia is also widespread chronic pain and fatigue; this combined with EDS is more pain than I can sometimes cope with. PoTS is a condition that affects the autonomic nervous system; this means my heart rate vastly increases when I'm upright, causing heart palpitations, dizziness, extreme shaking and fainting. Due to my conditions I also experience chronic migraines, to the point that I can't even open my eyes. Because of my conditions my mobility is severely affected; I currently use a manual wheelchair that I cannot propel myself as my shoulders are too unstable and I suffer an insurmountable amount of pain. My independence is being stripped away from me as I am unable to leave the house without burdening someone else and I am desperate to live my life, without relying on another person. I want to be able to go and meet friends to do some shopping without my boyfriend coming along to push me. It's not fair on either of us. Unfortunately, NHS Wheelchair Services can't help since the criteria for power chairs are extremely strict and you have to not be able to walk at all. As my condition varies, I use crutches around the house and a wheelchair outdoors, so I don't fall into the category to receive any government help. Hence, why I'm in desperate need of donations. There's still a perception that wheelchairs are only there to aid people that cannot use their legs but those that suffer from chronic pain, like me, need them too. Walking more than a few steps is agony, not only for my knees but my back, hips, ankles, shoulders. The money will be used to buy a Pride Jazzy J600 Power Chair and have a hoist fitted in my car. If I'm able to raise the funds, my life will completely change. I currently feel like I'm missing out on so much and spend a lot of time at home and on my own. I'm a writer and blogger who is invited to events which I'm unable to attend in my current chair. A power chair will give me so much more freedom and independence. I would be incredibly thankful if I raised the funds for a power chair, I'd no doubt cry my eyes out with happy tears as it will broaden my horizons. If you can help, I'd be so grateful. Thanks, Sarah." At the moment Sarah has raised over nearly £900 which is amazing, but she needs £2,000. I want to ask every single person reading this to please click this link just give something, even if it's just £1. You can do it anonymously if you like, you don't have to sign up for anything, all you need is paypal. £1 given is one step closer to Sarah having more of an independent life. Share the link on social media with your family and friends? Anything you can do at all to help out this beautiful amazing woman. Being able to do the simplest of tasks can make a spoonie feel so drained and tired; making a cup of tea, brushing your hair, and as you can tell even walking. Nobody realises that some people expend tremendous energy merely to be "normal". So please, please just give something. Thank you so much beautiful's, have a wonderful day! If you want to read my blog post about me being a spoonie and my story then please click here.